We are in the midst of an obesity epidemic, but despite being inundated with diet advice we are only getting fatter. We count calories and exercise regularly, yet still the pounds won't budge. Why? 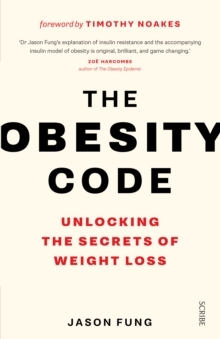 In this highly readable and provocative book, Dr Jason Fung sets out a groundbreaking new theory: that obesity is caused by our hormones, rather than a lack of self-control.